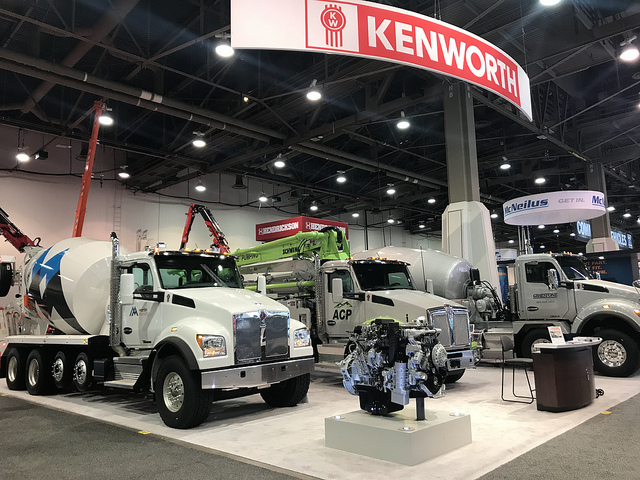 The second Kenworth T880S mixer is equipped with an 11-yard Con-Tech BridgeKing mixer body. The T880S has a PACCAR MX-11 engine rated at 400 hp and 1,450 ft-lb of torque, Eaton UltraShift Plus® VMS transmission, set-forward Dana Spicer D2000 20,000-pound front axle, and Meritor 46,000-pound tandem rear axles. This T880S mixer will go to Martin Marietta in Dallas, Texas.